A game of suspense and supernatural investigation. Elder Sign is a cooperative game in which 1-8 players are investigators in the Miskatonic University Museum striving to get enough Elder Signs to seal up one of the Ancient Ones before it awakens and goes on a devouring rampage. On each turn each investigator will have the opportunity to explore one of the museum rooms currently in play. Sometimes a portal gate will open to another dimension of Other Worlds providing additional locations for investigative exploration. Each room or Other World locale consists of a series of tasks that when completed will yield rewards. Upon entering a room an investigator will try to complete the task requirements by rolling a series of dice from the dice pool. If all of the task requirements are met than he/she receives the indicated rewards. However, if the investigator fails to meet all the requirements they must suffer the indicated penalties that can include loss of stamina, loss of sanity, incur doom tokens, etc. Just to keep the game play interesting, from time to time monsters will appear in the rooms and Other World locations adding more challenges that the investigators must overcome. Another element in the game is the Time Clock. After each player’s turn the clock advances by 3 hours. When it strikes midnight mayhem is inevitable - - appearance of monsters or doom, loss of weapons or allies or stamina or sanity or any combination thereof - - in any event nothing good will happen! Each Ancient One has a prescribed number of doom that if it reaches will awaken. An awaken Ancient One will start attacking and devouring the investigators. Winning in this scenario is extremely difficult. 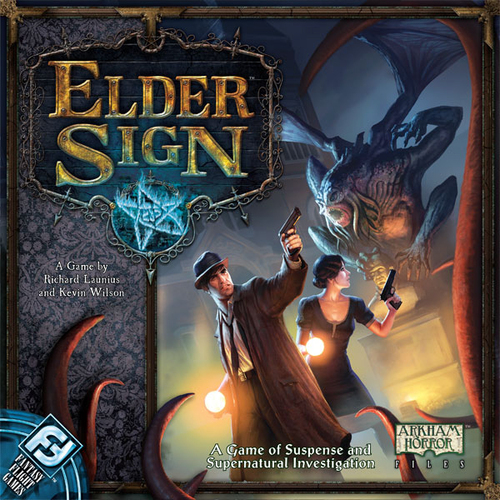 Additionally, each Ancient One has a prescribed number of Elder Signs that the investigators must collectively obtain in order to it seal up and win the game. 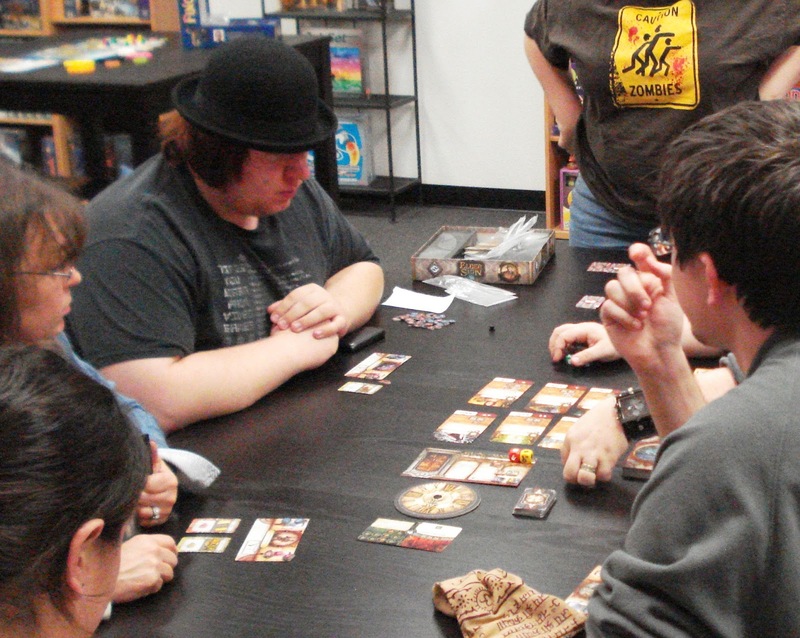 We have an open copy of Elder Sign is available in our Store Demo Library for you come in and try out.